New service will make it easier for voters to meet their responsibilities, while enhancing the overall accuracy and security of Ohio’s voter rolls. Columbus –Ohio Secretary of State Jon Husted today launched a new online service that allows Ohio’s registered voters to update their voting address online. This new tool, housed at www.MyOhioVote.com, will help voters in meeting their primary responsibility: To be registered at their current addresses 30 days prior to an election. Additionally, reducing manual data entry at Ohio’s boards of elections will save tax dollars and improve the accuracy and security of Ohio’s voter rolls. The most common reason a voter must cast a provisional rather than a regular ballot on Election Day is because they have not updated their address prior to the voter registration deadline. Provisional voters’ ballots must be verified for eligibility in the days following an election before they can be included in the official tally. Secretary Husted noted that had this system been in place during the 2008 Presidential Election, an estimated 130,000 voters who cast a provisional ballot could have taken advantage of this convenience and voted a regular ballot. All Ohioans of voting age will be able to use the site; however, in order to update an address online, the individual must already be a registered voter and must provide four identification keys that exactly match what’s in Ohio’s Statewide Voter Registration Database, including: their last name, Ohio driver’s license number, the last four digits of their Social Security number and their date of birth. If a voter does not meet these requirements, they will be able to print and complete a voter registration/change of address form to mail it in to their county board of elections office. To ensure as many voters as possible are able to update their information online, the Secretary of State’s office is working with the Ohio Bureau of Motor Vehicles (BMV) to share data. Every month the BMV provides identification information to complete voter records. Currently, more than 6 million of Ohio’s registered voters will be able to change their address online. 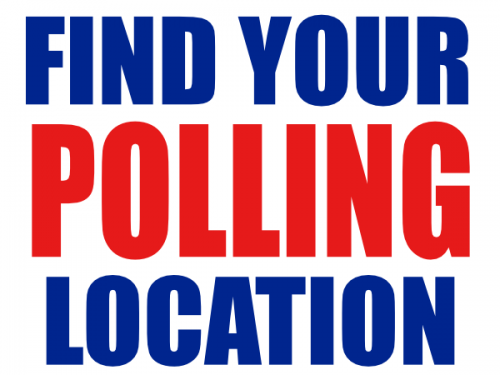 Upon completing the online process, the voter’s county board of elections will send out a notice to confirm the change in address and provide the voter with their new polling place and precinct information for Election Day. Voters who get their address updated between now and the first week of October will also be in line to receive an application to vote by mail for the November Presidential Election — an initiative Secretary of State Husted is sponsoring to ensure voters statewide have equal opportunity to participate, whether they choose to vote early, by mail or on Election Day. “This November all eyes will be on Ohio, and we voters have important decisions to make. As chief elections officer, I want to ensure Ohio’s voting process is accessible, accurate and secure so that we can all have confidence in the results,” Husted said. For more information, or to access the new Online Change of Address System, go to MyOhioVote.com.